Google and YouTube on Tuesday temporarily locked out the accounts of a Canadian professor critical of gender-neutral pronouns and other transgender issues. University of Toronto professor Jordan Peterson made headlines in Canada last year when he was openly critical of a bill that would prohibit discrimination on the basis of gender identity and expression under the Canadian Human Rights Act. The bill also extended hate speech provisions to transgender people. The psychology professor warned that the bill could hamper free speech by punishing those who refuse to use gender-neutral or preferred pronouns. "I will never use words I hate, like the trendy and artificially constructed words ‘zhe' and ‘zher,'" Peterson argued. "These words are at the vanguard of a post-modern, radical leftist ideology that I detest, and which is, in my professional opinion, frighteningly similar to the Marxist doctrines that killed at least 100 million people in the 20th century." Peterson was subsequently accused of bigotry and protested by transgender students. 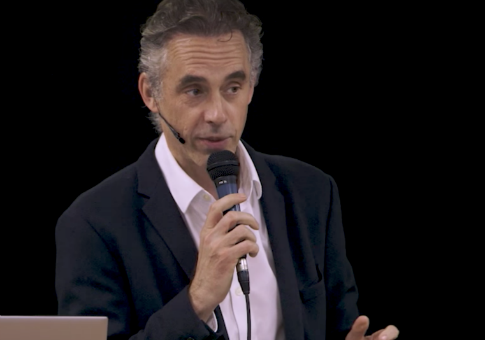 The University of Toronto sent two letters to Peterson warning that his refusal to use students' preferred pronouns could be a form of discrimination. On Tuesday, Peterson reported that he was locked out of the Google/YouTube account he uses to spread his views. Peterson posted screencaps of him battling with Google to regain control of his account. "After review, your account is not eligible to be reinstated due to a violation of our Terms of Service," Google told him in an email. Eventually, they relented and unblocked Peterson. "Why was it shut down? Who knows?" he lamented. "Why did they refuse to reinstate it? Who knows?" This entry was posted in Culture and tagged Google, Jordan Peterson, Transgenderism, YouTube. Bookmark the permalink.